Facing a broken commercial garage door, is a very unpleasant experience, which can cost a lot of time and money. If you can’t open your door in the morning, or if you can’t close it at night, it is time to call J&C garage doors. A commercial garage door must be strong and reliable. This is the reason that when it comes to commercial garage doors in Westchester New York, we will always use the best and the strongest garage door materials that in the market today. We understand how important it is for you to have a door you can trust, and to know that whenever you are going to need it to open or to close it will respond. 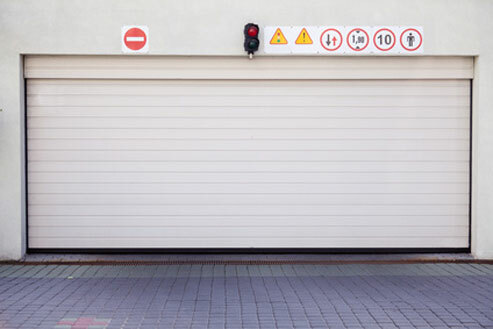 To avoid the situation of a completely nonfunctioning or stuck garage door, we highly recommend to perform a maintenance for your garage door at least every 6 months. If you think that your door doesn't work like it used to work, or if you think that there is any kind of problem with the perfect way every garage door should work, please contact us, and we will be happy to help. Due to the nature of our job, we offer a 24-7 emergency garage door repair in Westchester County. A good commercial garage door installation, consist from 2 important things: a professional installation, performed by an experienced technician, and a high quality garage door and parts, from leading garage doors brands. A commercial garage door that was correctly installed, by a professional garage door technician, and that have been maintained at least every 6 months, should work in a perfect and a safe way for years. We at J&C Garage Doors, offer those 2 important things: All our commercial garage doors technicians are licensed and experienced, and performed successfully hundreds of commercial garage doors installation job in Westchester County. And we are using a high quality commercial garage doors and parts from the leading brands in Westchester County. We offer free phone consultation, to help you choose the right commercial garage door for you. All you need to do is to contact us, and one of our garage doors technicians will be happy to help. Every Overhead door service, whether it is a garage door repair in Brooklyn, or a garage door repair in new Rochelle, should include 2 important things: The first and obvious, is repairing the problem and make sure that the door is working again, and that the door is safe for use. But the second, thing, and equally important, is to locate the reason to the problem, and to repair it as well. Failing to locate the cause, can lead to the same problem again, and for us this is not a professional service, and we will never leave customer with a door that isn’t safe for use, whether it is a commercial Overhead door or a rolling gate. If you are located in Westchester New York, and you are searching for someone to repair your overhead door, install a new motor, supply you a new remote control, or perform a maintenance for you, all you need to do is to contact us, and we will be on our way. Bellow you can find a partial list of the cities in Westchester County which can use our Overhead garage door services. If you are located in Westchester, but your city does not appear on the list, please contact us, and we will send someone. Broken commercial overhead door spring is a common problem that we need to deal with on a daily base during our garage door repair service. Most commercial garage doors in Westchester County are equipped with torsion spring system, which is the preferred spring system for commercial overhead doors in Westchester. When one (or both) of the springs snapped, or if the spring is not adjust correctly, there is nothing much you can do except contacting a garage door company in Westchester who specialize in commercial garage doors repairs. You may own a commercial garage door in the Bronx, or a commercial garage door in Rockland County, the important thing you need to keep in mind is that broken commercial overhead door can be dangerous, and that it should be services by a qualified repairman. The commercial garage doors in Westchester County often require custom made torsion springs, to fit a heavy duty garage door. Do not think to locate a local hardware store, and purchase springs for your garage door from them. The springs that fit commercial and industrial overhead doors are the kind of springs that cannot be found in places like the local hardware store, or at home depot or low’s store in Westchester since it require a garage door expert in Westchester who can deal with heavy duty overhead door with a broken spring. We carry with us springs for many overhead doors in Westchester County, and we may also carry with us the required spring to repair your garage door. But in some cases, especially when it is a case of a commercial heavy duty garage door in Westchester County, we may need to measure and weigh the overhead door, and to come back with the needed spring. But there is no need to worry. As we did with all overhead garage doors in Westchester that we repaired, we will give you a temporary solution, until we return with the spring for the replacement. Most likely, within a day if you are located in Westchester and you are local to us. Every commercial garage door in Westchester County need its own size of springs. And the exact size of spring. There is no “maybe” or “almost” when it comes to commercial garage door springs. If you will install the wrong spring, or if you will use the right spring but won’t install it correctly, it can be dangerous. So let us do what we do best, which is to replace commercial torsion springs in Westchester New York. If your commercial overhead door in Westchester went out of its tracks, call us now for a same day service in Westchester. It may seem attempting just to push and force the roller back into the tracks, and it may temporary solve the problem, but you shouldn’t do that. There is a reason why the garage door went out of its tracks. And pushing the roller back into the track will not solve the problem, and can put people who use the door at risk. Remember that the rollers inside the tracks are what holding the door, and when the rollers coming out of the tracks, the door can fall down, and you can imagine how dangerous a garage door in Westchester that weigh hundreds or even thousands of pounds may be. With our same day commercial garage door services, we can fix your garage door today. It can be commercial garage door repair in Greenwich, or industrial garage door repair in Spring Valley New York, we can repair it. When we are used to use something daily, we forget that when it breaks it can be dangerous, and for that matter it doesn’t matter if it is a broken garage door in Greenwich, a broken garage door in Danbury or a roll up overhead door in Nanuet. We always tell our customers, if there is a problem, let the professional deal with it. Things that may seem simple for you to repair may be much more complicated than it may seem, and vice versa, sometime it may seem like a big deal to you, but it is actually very simple to solve. And after servicing thousands of garage doors in Westchester County during the last 20 years, we have the ability to provide solution for every commercial garage door, whether in Scarsdale or an industrial door in Westchester County. Avoid risks, and let the experts do what they do best. If you would like your commercial garage door in Westchester County to continue and work in a safe way, and to avoid the need for garage door repair service every other month, you need to make sure that a pro will maintain your garage door at least every 6 months. Although a residential garage door maintenance is a relatively simple process, a commercial garage door maintenance require deeper knowledge, and perfect understanding of the garage doors and the way they operates, since commercial overhead doors, whether it is an industrial overhead door in Staten island, or anywhere else in New York, is not the place for guessing and assuming. 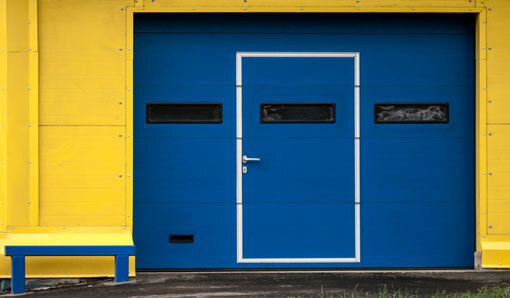 And besides, the commercial garage door maintenance isn’t just lubricating the moving parts, but it also involve safety check and inspecting the door. There are online tutorials that explain how to maintain a garage door, but note that they refer to residential garage doors, which maintaining them can be done in a do-it-yourself way, unlike the commercial garage doors in Westchester County which require special tools and parts that cannot be found at any store. Just take as example 2 basic tools that without them you cannot maintain a commercial garage door in Westchester: Long ladder and torsion sticks. Any attempt to improvise, and replace the torsion spring sticks with something else can result with injury. But do not assume that a ladder and the right springs is all you need. To be able to deal with complicated garage door repair projects, you need knowledge and experience that only many years in repairing overhead doors in Westchester County can teach. Most commercial garage doors in Westchester County are automated, and include an electric garage opener. If you are experiencing hard time operating your overhead door in Westchester automatically, you may assume that there is something wrong with the opener, when it may actually be a different reason. The way the overhead doors in Westchester County operate is when the spring system lifting and lowering the door, and the opener is only doing a relatively small amount of lifting. To make it easier for you to understand that, we can say that you should never install, or try to operate a garage door in Westchester automatically – using an electric opener- if the door is not working perfectly when you are trying to use it manually. So if there is something wrong with the garage door itself, for example? : If one of the springs snapped, if the pulleys or the drums are broken or lose, or if the springs are not adjust, it affect the way your garage door opener behave, and to you it may look like the opener cannot lift the door. So whenever you are experiencing an issue operating your garage door using the electric opener, whether it is a Lift master opener, or any other brand of garage door opener in Westchester New York, contact a garage door supplier in Westchester County to fix the door for you, whether it is a garage door opener issue, or a problem with the garage door mechanism. We know that facing a broken garage door is never a pleasant experience, and when the case is a commercial overhead door it can even get worst. To help you get your commercial garage door working again ASAP, we offer 24-7 emergency commercial garage door repair services in Westchester County. Whether you need a garage door repair in New Rochelle, or a garage door spring repair in Yonkers New York, we will be there for you. Because garage door repair in Westchester is what we do, and in order to become the #1 garage doors company in Westchester New York, we need to do it best. We carry with us different garage door parts to fit most garage doors in Westchester County and the area, and we are comminuted to 100% satisfaction for any garage door projects we accept, as you can see in our garage door Yelp Reviews page, which prove how much appreciation our customers have for us. Same day commercial garage door repair in Westchester NY. Emergency commercial garage door service in Westchester County. Garage door maintenance services in Westchester New York. Commercial garage opener repair or installation in Westchester. Commercial overhead door spring repairs in Westchester County. New commercial garage door installation in Westchester NY.